You’re probably aware of the mammoth that powers 30% of the internet. Yes, I’m talking about WordPress. It is a platform that helps you build your own blog, online portfolio or website in the easiest and most convenient way possible. Most of the blogs or websites that you surf daily are powered by WordPress. You may start up with a free WordPress account or you may opt for a premium account with added features. Whatever the case may be, getting your blog/website up and running has never been easier. WordPress provides an enormous of supply of themes, both free and paid, for you to create the best website possible. All of this at the click of a button. Apart from the 350+ themes, you may take advantage of the unlimited number of WordPress plugins that are available. A plugin is a piece of software that helps you perform a specific function without going through the hassle of writing hours and hours of code. All you have to do is install the plugin and it would automatically be integrated with your WordPress site, thus making your job a lot easier. For the average joe using WordPress for the first time, the very idea of choosing the best possible plugins that might be crucial for the growth of a website may seem like an intimidating job. Thus, I came up with the 5 useful WordPress plugins that you may like. With over 5 million active installations, Yoast SEO by Team Yoast is the most widely adopted SEO plugin that is used by millions of people worldwide. SEO or Search Engine Optimization is a way to ‘hack’ your way into the unpaid or organic search results of any search engine. Yoast SEO helps you attract more traffic from search engines like bing and google and diverts it to your website or web page. If you have ever been worried about not being able to design your website the way you always wanted to, or about not doing justice to your vision regarding the design and layout of your website, then Jetpack for WordPress is the right plugin for you. Jetpack for WordPress is the hassle-free way to design, build and optimize your website. Is your site taking an hour (metaphorically speaking) to load? W3 Total Cache will increase your website performance at least 10 times. With everyone on the internet being in a hurry and people having the attention span of a 2-year-old child, you do not want your website to be slow. W3 Total Cache has an integrated content delivery network (CDN) which helps reduce the page load time, increase visitor time and improves web surfer performance. VaultPress is by far the ultimate solution to backing up your website. It backs up all the posts, comments or other changes that you make to your website in real-time. Thus, your website is safe from threats like hackers, malware or host-outages. It is made by Automattic, the company behind WordPress.com. 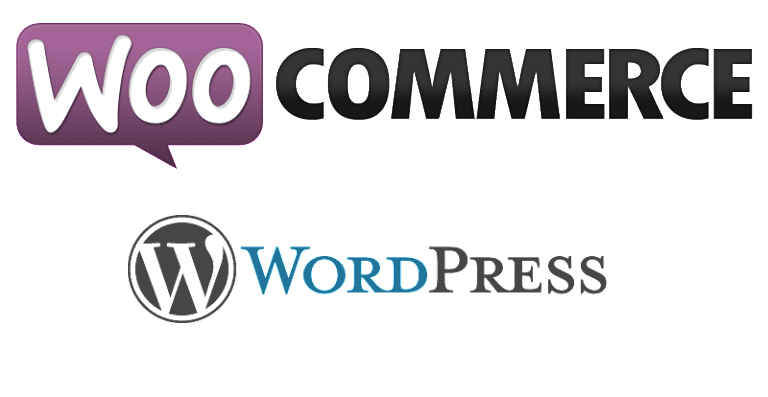 If you have plans to set up an online store on your website, WooCommerce is the plugin you’re looking for. Many websites are setting up online e-commerce stores to sell stuff online. If you wish to do the same, go for WooCommerce. It gives you complete control of your store and will help you sell anything, anywhere. It also furnishes your website with extensive payment options like bank transfers, major credit cards & debit cards, PayPal, Amazon payments etc. Be it the innate curiosity of a child, the rebellious nature of a teenager or an adult – eager to escape, all of us have this immense desire to travel and to explore, irrespective of the stage of life we’re at. However, we do not satiate our desires but often inhibit them. A child wanting to travel is turned down by the overprotective parents. A teen’s willingness to explore the world alone is crushed beneath the mountain of expectations and the urgency of accomplishments. Then comes the helpless adult human being, unable to step out of the monotonous routine that she/he trapped herself/himself in, just to sustain the feasibility and cost of living. At the end of it all, we are left with the regret of not exploring more, of not extracting more out of life, and of not following our passions; eventually settling for less. Thus, one needs to travel. One needs to learn how to travel. There are a lot of myths associated with travelling, like it’s not safe out there or that you need to have a lot of money to travel. Well, that’s not necessarily the case. You don’t need to have a lot of money to travel. Just a bit of courage to start. We all talk about how one day we’re going to travel and explore every nook and cranny of the world, but that day never really comes. Not for most of them out there making such claims. Thus, you need to start now. Talking about the travel expenses, it can be divided into three categories. Your travelling expenses can be minimised if you take note of the following few travelling tips. Hitch Hike – Don’t shy away from asking for a lift. More than often, someone will stop and offer you a ride. Feel free to engage and interact with them and exchange stories. Volunteer for Transport/Accommodation – As you travel, you may come upon many opportunities where you can work interchange for accommodation or a free ride forward. Get a sleeping bag – You may save money by camping by the side of the road and saving money. Start a blog/vlog – With internet on the rise, you may start a blog or a vlog. You can use it to document your journey and share your experiences with the world. You might even make some money. All these will certainly minimise your travelling expenses and make it more affordable. This is not a lavish way of travelling, but you will be able to tour the world and earn priceless experiences. Who knows, you may even find yourself. Just have the courage to step out because “to travel, is to live”. This post is inspired by Tomislav Perko, who travelled across the globe with almost no money. Feel free to check out his eye-opening TEDx Talk. To watch his TEDx Talk – Click here. To buy his book ‘1000 days of Spring’ – Click here.